The conversation was between Brown Pundits’ contributors Razib, Zach and Slapstik on the evolution of Sanskrit and Indo-Aryan more generally within the Indian subcontinent. The conversation started off from thoughts on the origin of Sanskrit from Proto-Indo-Aryan, the language of the feudal elite of the Bactria-Margiana Archaeological Complex (or BMAC). 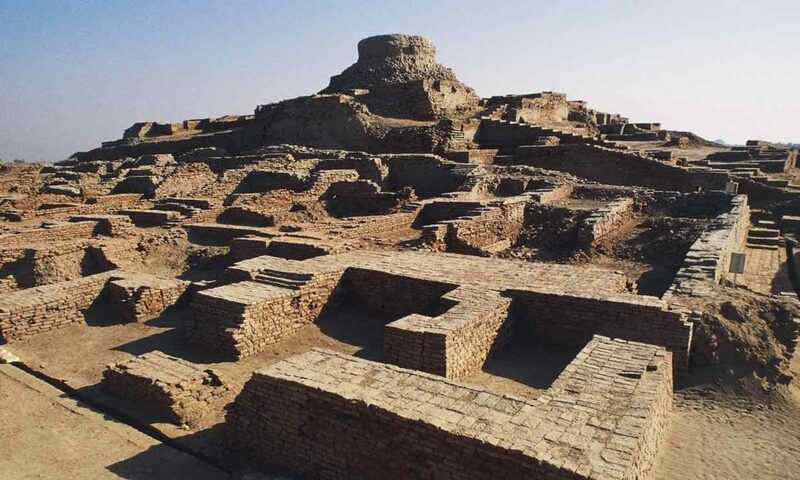 We spoke of the broad swathe of time from (roughly) 1500-500 BCE wherein this elite planted themselves across the breadth of the Indo-Gangetic plains south of the Himalayas (cf. hima-vanta > himavata). The peculiarities of the obstinately oral culture led to phenomenal developments in grammar (vyAkaraNa) to preserve the fidelity of speech. We also briefly covered some peculiarities of development of prkRta-s which show influence of Dravidian speech, the Indo-Aryan nature of Dardic languages and some comments on Iranic languages. We also know that Proto-Dravidian lacked sibilants and replaced the phonemic voiced-sibilants by their approximants /y/ or /w/, which later merged with the preceding vowel. So, the effect of Dravidian substratum on proto-Vedic *miZDham is given by: *miZDham > *mi(y)Dham > mIDham, and mIDham is attested in Rg Veda as meaning reward or prize of a contest. The same word (meaning payment) is also attested in Mitanni-Aryan as miśta, which seems to be easily derivable from IIr *miźdhom via simple de-voicing of /ź/ and de-aspiration of /dh/. There’s no known rule or precedent of deriving miśta from IA mIDham. Even using the latter-day example of Romany languages, the aspirated retroflex /Dh/ should be approximated by /r/, which is clearly not the case here. Therefore, the simplest explanation of miśta in Mitanni-Aryan and its cognate mIDha in Vedic is that both terms are derivable using known sound laws from the older Indo-Iranian version of the word, as opposed to one from the other. The same argument also shows how retroflexion existed in oldest Vedic and that the simplest explanation of lack of voiced sibilants in Vedic is the substrate effect of Proto-Dravidian. 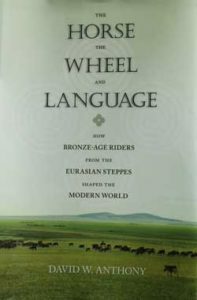 For readers more interested in this topic, I would suggest The Horse, The Wheel and Language by David Anthony on the archaeological evidence of steppe Indo-European culture. The book is very strong on archaeology, but it gets some of the linguistics’ arguments wrong. 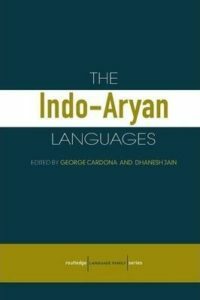 On linguistics itself, Cardona and Jain’s Indo-Aryan Linguistics remains the go-to text. Note that this book is more technical, but very rewarding. Is Slapstik a professional linguist? No, I am not unfortunately. I just have a deep (and old) interest in the field. Sounds interesting. I guess ‘ feudal elite of the Bactria’ is used loosely, without implying strong ideas about land ownership and labour. Yes, loosely. The system would have been some sort of tribal oligarchy with an rent-seeking economic model. Clearly pastoralist, whence use of cows as currency and penalties on gohatya (cow slaughter). I don’t think the power was v centralized and councils of tribal elders arbitrated – the sabhA-s and samiti-s. Akin to panchayats or jirgas of today (or the early Roman senatus). A branch of Western Arya, i.e. Persians, came into contact with very sophisticated models of kingship and Empire prevalent in Mesopotamia – Akaddian and later Assyrian. And one can see Persians moulded themselves into that role. Using the same institutions, symbols and even language (Aramaic used more than native Old Persian). So Persians stand out in this regard from all other Arya lineages. Agreed but dont you think this whole “worshiping” of cow actually comes a bit later in the chronology of Hindu texts. If i am not wrong the Rig Veda actually doesn’t talk about it much and its the later texts which talk about it. Does that mean that during the Vedic times they were still transitioning from hunter-gatherer to pastoralist or is there something else happening ? Yes, (social) penalty on cow slaughter is not the same as worshipping cows, of course. But over time the original economic rationale of a social feature can get lost and the feature survives purely as tradition. (H3B) गो–घ्न [L=66987]	m. one for whom a cow is killed , guest Pa1n2. 3-4 , 73. Hello Slapstik, this may be a stupid question but did not Proto-Dravidian also lack voiceless sibilants, i.e. *s, *sh, and *S? Then why did Proto-Indo-Aryan/Pre-Indo-Aryan not show a parallel substrate effect to the one given by you, i.e. *-(v)ST- to *-(vbar)T-? Indo-Aryan curiously only lacks the voiced sibilants and has all the three voiceless sibilants, out of which phonetically only the voiceless alveolar/palatal sibilant s/sh is phonetically known to Proto-Dravidian in that the palatal stop/affricate phoneme *c of Proto-Dravidian allophonically softens to s in intervocalic positions. Yes. Proto-Dravidian lacks all sibilants AFAIK. But to your point, we do see the Dravidic effect on voiceless sibilants too. IA prkRta-s in the West of the Indo-Gangetic plains did lose /S/ and /ś/ in the course of their development. And the universe of sibilants shrunk to just /s/, and not even that in dialectical Gujarati where /s/ > /h/ substitution is common. The only natively (voiceless) sibilant rich IA prkRta in India is Bangla, which is in the Eastern-most edge of the IA world. Least affected by Dravidian. This was my first podcast, as the topic interested me. By the first 3 minutes upon hearing assertions of Vedic originating in BMAC and etymology of Atharvaveda is based on the root Athar = fire in Iranian I was extremely amused. That amusement pulled me through a few more minutes and it ended, when I heard Pashto and Persian are dervied seperately and directly from a proto language. At that point i decided to stop the cast at about 18 minutes in. To be fair to real scholars who have or may come on the podcast in future, you guys might want to seperate the streams into something like BrownPunditWannabe for amateur hobbyists and BrownPunditReal for guys who actually can back up their assertions with something concrete. Also this is nothing personal against slapstick, everyone has their personal views. Both those points are fairly commonly recognized: lack of etymology of atar (or athar) in Sanskrit and separate evolution of Pashto and Farsi from Old Iranian. Pashto (or proto-Pashto) is distinctly E Iranian, with IA loanwords in its deep structure as opposed to Western Iranian group that includes Persian. PS: I am happy to take critical remarks, but you sound like you need to read an introductory textbook before commenting on this topic. Quote from the Narasimhan genetics paper. 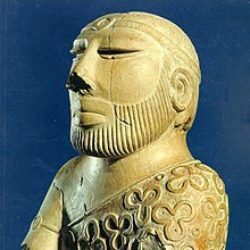 Did not the *Indo*-Aryans bypass the BMAC according to DNA studies? Monier Williams in his sanskrit dictionary notes that the now obsolete term for fire used to be Athar. There, three differing views on meaning of Atharvan. I am no expert on linguistics or genetics, but have fair understanding of which assertions are unsupported in AIT/AMT, and know when dubious claims are being made. LOL. How is that contradicting what I said? there are plenty of words like that in the rig. A lot of modern speculation about archaic sanskrit is just not reliable. Read sri aurobindo’s the secrets of the veda as a starting point. Igor TB has imho convincingly demonstrated that there was no Indo-Iranian common language which is absolutely necessary for the AIT. 2. DIFFERENT enough to make the supposition of a common Indo-Iranian stage impossible,. Western Indologist (Lubotsky, Witzel etc) want to postulate a hypothetical non IE substratum language spoken by BMAC people from which the supposed Indo-Iranians would have borrowed certain words that are not explainable through the PIE hypothesis.. These so called “Bacrio Margianism” have been dealt with by Igor TB in the above paper. Here is another dense paper by N. Kazanas refuting Schmitts claim that the Iranian was anterior to Indic and there was an earlier “Indo-Iranian” stage of the PIE. In short there was only Indic>Iranian family and no “Indo-Iranian” family roaming around from Pontic Steppe, through Andronovo, BMAC etc as required by the AIT. That is what the papers from Igor TB and N. Kazanas are attempting to show. Apparently, all these stories are having problems with logic. There are many arbitrary standalone statements without specific timeline and/or geography but when you try to put all parts together it does not fit. What is the newest? Well, we don’t have ‘Indo-Iranian’ anymore? Simple as that? Maybe, just for time being to put this as ‘Indo>=Iranian’? But now we have ‘Archaic Indo Aryan’? Now, we should see what is ‘Indo-Aryan’, archaic or non-archaic? Archaic Lithuanian (from 16-17th c.AC)? Which AIT ‘requires Indic>Iranian roaming from steppe to BMAC and India’? What about Nuristani as a I-E link? (btw when will be again replaced ‘currently fashionable’ Indo-European, used to be Indo-Germanic?). What about Iranian which came from Ukraine? What about ‘Balts’? Any other phantom? You may ask your Igor one simple question – where his mother tongue came from? And, to suggest him to accept a temporary working term (until further notice) for ‘Archaic Indo Aryan’. Let say ‘Serbian’. Or, to check if Serbian language existed at all at 2000 BC (its alphabet existed already for a couple thousands of years before that but maybe the language itself was lagging?). We do. But not in the sense that Indic and Iranian branched out of it. It is just Iranians leaving “India”(which could very well include BMAC as well) as the last migration or multiple (at least two). Igor TB creatively suggests west AGRICULTURAL Iranians and the north PASTORAL Iranians around the time horse driven transport became commonplace (1500 BCE, the usual AIT timeline). mzp1 got to love this stuff. By the way PIE could be a Satem language as he suggests. Kazanas says somewhere that a language could simultaneously have both satem and kentum features using the parjanya-perkuna example. Sorry don’t have the exact citation right now. I only know him through his papers. Nothing else. If you are going for a Serbian homeland your best bet probably would be to root for Armenian hypothesis. Under the popular steppe theory it would require the horse riding charioting nomads to go BACKWARDS. Ok, one heart from me for your persistence. Now, when we have ‘Indo>=Iranian’ instead of ‘Indo-Iranian’ (phantom) let’s make the simplest possible. Did Serbian language exist in 2000BC? What was the name of people who lived in, for e.g. Ukraine or Russia at that time and which language they spoke? I think all three of you (Razib a bit less but still) are getting unnecessarily defensive on the whole “should choose our words carefully” on the whole AIT ,AMT thing. Its not that big a deal in India apart from few folks , and neither are your listeners some child that they don’t understand what you mean and all. For all practical purpose as Slapstick said regardless of AIT,AMT this whole controversy(which ironically is also the only reason folks are even interested in genetics or linguistic) is driven by present day Hindu-Muslim equation, and irrespective of “findings” there is an acceptance in the wider public (Hindus and Muslims) that today’s India’s mainstream culture/traditions is disproportional “Hindu”. So after a certain point it (AIT,AMT) really doesn’t matter,irrespective of how much “Indian-genize” the left,liberal tries to make the Mughals/Sultanate etc. The only place where these ideas along with AIT,AMT find curry is in South India and Bengal who dont have”that much” skin in the game because in both Mughals/Sultanate as well as AIT/AMT cases what we are mostly talking about is North India only. Disagree. I don’t think this has anything to do with Hindus and Muslims. I mean, it relates to invasions, but we’d also have to include the British as well as past invaders like the Hunas. I think the bigger controversy lies in the relations between north and south, “Aryan” and “Dravidian”. From what I’ve seen, Tamil Brahmins are quite heavily represented in the AIT-rejection camp, as that model, when interpreted highly simplistically, paints them as interlopers in the south but still not part of the north, leaving them with no country. I agree on your tamil brahmin part but just a caveat that many Southern brahmins have now moved to the other side as well , thinking that agreeing with the Dravidian theory would lend them space in the whole movement (Jews agreeing with Hitler). They feel that this would finally dissociate the umbilical code with the “Aryans”. On the Hindu and Muslim part neither are Hunas or Britishers today part of Indian politics or else they would have also been sucked up in the whole thing a well. Had India had some minuscule muslim pops apropos like Pakistan’s Hindu pops than AIT,AMT would not have been a big deal(just like it isn’t in Pakistan/Bangladesh) . When i meant contestation i was referring to N-India only where the heart of the contestation really lies. For the most part in South and Bengal its already accepted that Aryans invaded India(not withstanding some Brahmins) so there is no controversy there( that’s why AIT,AMT ideas are pitched there by the liberals/left without pushback ). The North doesnt really care what the South and Bengal think( its pretty obvious) , they can go around thinking AIT,AMT are facts and all. But they have a stake on what effect this whole debate has in the N-India where muslims and hindus have history. That is all. Tamil Brahmins are irrelevant in Tamilnadu, as they form between 1-2% of the state population ( no more 2 miliion people), and concentrated in a few cities, and in towns in few cities. Tamilnadu, as a whole has gone way past Brahmin opposition to Kamaraj and Dravidian policies; in fact, it behooves the DMK to create a Tamil Brahmin X (rest of the Tamilnadu) for votes for harvesting the 98% vote bank; unfortunately, that does not work either. The present opposition to aryan migration stems from two factors; earlier, the congress party represented a Pan-Indian persona that was associated a prickly Indian personality represented by Indira and her acolytes, whose singular opposition to everything the west offered; including economic liberalism, nationalization, an Indian-centric solution which never existed, and Indian personhood that was different from anyone else in the world. This meant that foreign companies were not welcome, foreign economics was forbidden, trade was minimal, and no Indian blood or DNA for scientific use. From the 80s and 90s, a large diaspora took over the US/UK Indian population, and this was dominated by upper classes (including Brahmins and Gujarathis); while they were educationally trained in the congress Era education, Congress, Narasimha Rao and Manmohan were not to their liking; the new Vajpayee-ADvani BJP gave them Swadeshi hopes but Videshi dreams. They spread the Hindu-Hindi-Hindusthan Forward class dreams to the internet, with rigorous opposition to the Aryan ideas, whether migration or invasion. The arrival of a BC PM has buoyed the dreams; a small Brahmin/Patel/Gujarathi diaspora and intelligentsia keeps this Hindu Uniqueness ideas alive; there is no buy-in to this from BCs (40% of the population), SCs (15% of the population), STs (7% of the population), Muslims (14% of the population or Christians (2.5% of the population). The Tamil Brahmin role in this is to vocalize the idea, but propagating this is someone else. Very similar to a Trumpian base of 30%, the anti AIT/AMT crowd exists to energize a small base, and to diss the others, as “liberals”, “seculars”, “Christians”. Joseph verbalizes this thought much better in his book. Tamil Brahmins may have seeded this, but now, it exclusively a FC north-Indian phenomenon. The earliest Brahmi inscriptions in Sri Lanka are all in Prakrit and dated to 500 BC, so the island was clearly sanskritised by that period. Indo-Aryan speakers from North India conquered Sri Lanka and became the elite by at least 500 BC. This paved the way for Sinhala. Mahabharata refers to a Siva Temple in Gokanna (Modern day Trincomalee), so the Island was known as a famous pilgrimage site at the time the epics were composed. The funniest part is we have an entire epic of a king supposedly going to Lanka which the Lankan folks have no memory of, while they have entire chapters of their King Vijaya who supposedly came from India, which we have no memory of. This is not true; Valahassa Jataka, depicted in the Ajanta cave paintings of India (Sinhala Avadana). In this version, the prince who goes to the Ratnadweep island is named Sinhala, who is the son of a lion. I think it is cave 19, and is called sinhala avadana which may be 17 or 19 Jataka.Jataka-Mala of Arya sura in sanskrit, not pali, gives 34 stories. At the Ajanta Caves, Jataka scenes are portrayed with quotes from Arya Shura, but the numbering of caves may be off. The date of the script is the sixth century. Borobudur contains depictions of all 34 Jatakas from Jataka Mala. This story will be remembered by Maratha HS kids who may have gone to school excursion to Aurangabad. I have visited both, Ajanta and Borobodur, but did not pay attention to this detail. All ramayana references in Tamilnadu (worship of Shiva by Rama in rameshvaram) date to AD; Purananuru 378 (100 BC) was the first reference to rama in Tamil. By the time of ilanko (2nd century BC) the Rama worship entered Tamil lit. There are references to TN in Valmiki’s epic, but the age of the epic is between 5th and 1st century BC, when references to TN and Rama references in TN abound. Yes, the Vijaya/Srilanka references are in India; but the Rama references in India are younger or the same age as the Vijaya references. On Valahassa Jataka depicting Vijaya, i would think that the folks who sent him from Vanga (present day Bengal/Orissa) would have some memory of it, but they dont. I would add that we seem to attach authenticity to Buddhist stuff just because they were better in recording than hindu folks, which need not be necessarily true. The Dathavamsa talks about war between Kalinga and Lanka for example for the tooth of Buddha, which again there is no historical evidence. It is a mistake to equate Lanka in Ramayana with Srilanka of today. Lanka simply means an island. The words sound similar because Pali has lost the distinction of the Sanskrit /G/ and /M/, compare laGkA with alaMkAra (ornament, beautification). I do not think laGkA derives from alaMkAra. At least I am not aware of any Sanskrit vRddhi to do this derivation. Another term for Sri Lanka was Lankadvipa, i.e. resplendent Island. Its true Lanka is a generic name for an island (in Telugu for example). However, other than Sri Lanka, what other island can seriously claim to be a contender for the island in Ramayana? The Rajavaliya mentions Ravana, and further more, attempts to give him a date, about 2300 B.C. The Rajavaliya however was written in the 15th century. Very much later than the Mahavamsa and Dipavamsa (oral tradition written in 6th century). The older texts do not mention Ravana. A lack of precision regarding Prakrit, Brahmi and age of inscriptions in the above post. The first writing inscription in the Indian Subcontinent (after from the Bronze Age Indus script, which may be just seals), in prakrit but written in brahmi, is the Edicts of Ashoka from 250 BC. Even if many other inscriptions are claimed to be from earlier than this period, there is no academic evidence that they are earlier. The spread of brahmi to tamilnadu called tamil brahmi was in 3rd century BC. Tamil enthusiasts have claimed Adichanallur and Erode to be of earlier provenance; but unless published in peer reviewed publications, the one and only inscriptions that can claim earlier provenance is the Anuradhapura (Conningham et al, Cambridge Archaelogical Journalm Vol. 6, issue 1), and that is dated to 350 BC. This brings a peculiar idea that the Buddhist teaching traveled to Srilanka before the Ashoka period (which was a major benchmark of Buddhism). Examples of Tamil Brahmihave not been identified among the earliest securely dated examples of Brahmi found at Anuradhapura in Sri Lanka, where the language represented is Prakrit. A lack of precision is seen in a number of these discussions. While linguistics can be flexible, inscriptions can be dated, and as of today, inscriptions older than 350 BC in India, have not been dated and published in archival literature. The idea that Brahmi predates the Asokan inscriptions is not a quack theory, there is carbon dating that supports this. Prakrit entered Sri Lanka before Buddhism, they are not inseparable. The language might be Indo-Aryan, but for sure the Sinhalese Kings of Sri Lanka never called themselves Aryan (Mahavamsa, Dipawamsa etc). The few times the Arya are mentioned they are the other or enemy, eg the Jaffna 12th Century Arya Chakravarti’s. My point was regarding the comment in the podcast that Sri Lanka was not under North Indian dominance before the Ashoka era which is untrue. Proving North Indian political dominance in Sri Lanka is a tall order even in the Mauryan state, let alone by the ruler of a local kSatrIya principality in kosala. Anyway, I would love to see evidence to the contrary. There has been some confusion. What I mean by North Indian dominance is not that Sri Lanka was a vassal state of any North Indian dynasty, but North Indians became it’s rulers before Asoka’s time. The proof is the Sinhala language and Prakrit Brahmi inscriptions from the centuries preceding Ashoka. The proof is the Sinhala language and Prakrit Brahmi inscriptions from the centuries preceding Ashoka. None of the old historical texts which are about kings (elite) an buddhism ever make the claim of Arya/North Indian and Kshtariya origins. Quite clear, Kalinga and Bengal (wanga origins) and intermarried with “southern” Madura women/princesses. The whole Aryan claims are after the 18th century based on Max Muller language claims. IN the country of the Vangas in the Vanga capital there lived once a king of the Vangas. The daughter of the king of the Kalingas was that king’s consort. By his spouse the king had a daughter, the soothsayers prophesied her union with the king of beasts. Very fair was she and very amorous and for shame the king and queen could not suffer her. The princess told him her family and clan. Then the commander took his uncle’s daughter with him and went to the capital of the Vangas and married her. But the ministers, whose minds were eagerly bent upon the consecrating of their lord, and who, although the means were difficult, had overcome all anxious fears about the matter, sent people, entrusted with many precious gifts, jewels, pearls, and so forth, to the city of Madhura in southern (India), to woo the daughter of the Pandu king for their lord, devoted (as they were) to their ruler; and they also (sent to woo) the daughters of others for the ministers and retainers. The problem with the Mahavamsa origin myth is that it is so full of absurdities like Lions giving birth to humans and blatant fabrications like the Buddha visited Sri Lanka/blessed Vijaya on his death bed, that it cannot be taken at face value. It is also silent on the pre-Vijayan people who had already established the basis for civilisation by 900 BC, and merely describes them as primitive Nagas and Yakshas (which is not true going by the archaeological record). The best we can get from it is that there has been migration of both south and northeast indians in the prehistoric period. The northeast Indians however became the elite and gave the SL population their language. There are quite a few mentions of the Yakshas in the Mahavamsa (after Vijaya) and how they shared leadership. re: Naga; quite a few of the Kings were named SomethingNaga, eg Coranaga, Khallata Naga (or for that matter Mahasiva and Mutusiva). Winners or writers record their version of history. >The northeast Indians however became the elite and gave the SL population their language. When present day Sinhalese and Historians reference migration from North India they mean North West India eg Gujarat. Obviously contrary to the written record. The Nagas and Yakshas are considered vastly more sophisticated, religious, spiritual, technological and advanced than humans. They are “NOT” primitive. In fact I don’t consider them to the homo sapiens at all. I so much want to read Mahavamsha. But haven’t yet had the time. Well Prakrit could have come from anywhere in the North, so it’s probably more prudent to just say North India. I am basing my guesses on the Vanga/Kalinga region purely on the physical appearances of Sri Lankans, and the documented migration of people from those regions to the island in the consecutive centuries. Sri Lanka geographically is also more accessible from the east coast of India. The ethnonym English is derived from ‘Angles’, the Germanic tribe that gave the English their language and importantly a minority of their DNA mix. So they do call themselves ‘Germanic’. are you stupid, or just on this blog? english is a germanic language dumbfuck. This will be your last comment on the blog. I removed your disgusting comment that you made last time and since I don’t know how to ban; I’m simply letting you know that. Kindly take your trolling elsewhere. Razib is right, English is a Germanic language. It is now unbelievable but English language almost disappeared in the 12th c.AC. It was preserved only in monasteries. But there is some more. Traditionally, Germans lived on the left bank of the river Rhine (in today’s France). The right bank, i.e. today’s Germany belonged to Serbian tribes which actually gave them the name – Germans. It is a longer story (for different occasion) about their wars and how Germans took the land of Serbian tribes. It is known in history the attempt by Julius Caesar’s Roman legionnaires to attack Serbs (some fabricated sources say – Germans) after building the bridge over Rhine. They were defeated and escaped back to the left bank and destroyed the bridge behind them. Frenches are an artificial nation which consists of several entities although this is heavily suppressed by forcing intensive French nationalism. French Galls, who were fighting Caesar (Asterix and Obelix) were Celts or Goths which originated in today’s Serbia. Burgunds were also a Serbian tribe (so as Lombards in Italy). The second Aryan leader (and the leader of Assyrian kingdom) Serbon Makaridov (known later as Heracles/Hercules in Greek/Roman mythology and as Ashur in the Bible) on the way back from SA went to Egypt and further to the north Africa, Gibraltar, Spain, France and Italy. He took some Indians with him who remained in the north Africa (Mauritania got the name from these Indians). Ashur founded a town in France which name was used to name the Champs Elysees Boulevard. We know *now* that Angles were a Germanic tribe. Did the Anglo-Saxons say, Alfred onwards, that their urheimat was in Germany? Or that they are speaking a Germanic tongue? Both, English and Germans, came as intruders into the territory of some other people. Germany is not their ancestral land. The term ‘German’ originates at the time of Roman Empire. It was given by Serbs. Serbian god, the protector of travelers and merchants, was Teut. It was replicated later in Greek and Roman mythologies as Hermes and Mercur. His name alone was simply translated in Greek as Teos (=god). The name was used later by many (e.g. Illyrian queen Teuta, etc). The followers of the god Teut were Teutari or Teutonci (in phonetic). Their language was called Teutesci which evolved via Teuch and Toych to Deutch, how Germans now call their language. Btw: good podcast, job well done Slapsy with help from R&Z. Keep researching on your own without sticking too much on others’ work. Cheers. I have not listened to the podcast yet. Hope to soon. I have not read the other comments yet either. Milan, the God of Mercury or Hermes was called Woden or Odin by the Norse, Angles and Saxons. Wednesday or Woden day is named after Mercury all over the world. And as you say also called Teos and Teut. Perhaps the Germanic, Norse and Anglo Saxon people can be said to be his people. In sanskrit in this Manvantara Mercury is presided over by Budha (not Buddha). Son of Tara (chief preceptor or Guru of the Gods alongside her husband Brihaspati [Jupitor]). It is rumored that his de jure father is Soma (also called Chandra) or the Moon. The moon is the disciple and student of his Gurus Tara and Brihaspati. Soma or Chandra also has a very interesting heritage. Two siblings are Dattatreya and Durvasa. Mother and father are Arundhati and Atri. They represent one of the seven Sapta Risis of this age or Manvantara. Arundhati is the star Alcor. According to legend she was initially one of the Krttika [seven Pleiades stars], of the wives of the seven Sapta Rishis. Later she separated and became associated with Alcor. Atri is one of the seven stars of the Big Dipper. [These stars are referred to as Sapta Rishis in sanskrit.] Atri is also might be the most mentioned saint in the Rig Veda Samhitas. The entire fifth Mandala of the Rig Veda is attributed to (revealed by) Atri. I have wondered if the Chandra Vamsha is a reference to R1 from Siberia. The ancient narrative says that they come from Mount Soma in the far north or Uttara Kuru. Milan and everyone else, what are your thoughts? Are the children of Ishvaku (son of Manu, older sibling of multi-gendered gender fluid Illa) a reference to AASI? Why are celestial objects associated with these Sanskrit names? Many from an eastern tradition claim that these beings (subtle or not) came from the general direction of the stars or celestial objects associated with them. And from a certain point of view they might be regarded as ET aliens. Of course there isn’t scientific evidence for these claims. But these claims appear to be made in the epics. As Kushal Mehra would say, this is the bugga bugga of the ancient eastern texts. Pretty good effort by the panel which somehow managed not to mention a word ‘European’ (not even Indo-European). Probably, they tried to be politically correct toward OPM and possible afraid to be labeled as ultra-european (or, God forbid: ultra-serbian) nationalists. No matter, that Sanskrit is more or less a part of almost all Euro-languages and in particular, Serbian. Maybe the assertion of Tagore’s grand-daughter that 1/3 of modern Serbian and Sanskrit are identical or very similar does not deserve any attention. And, how Sanskrit is a part of English and German if they are 800/600 years old. When and how Sanskrit influenced these languages and all other. If Sanskrit neither originated in Punjab nor in Europe, it must be somewhere in the middle. Let’s ignore the time and the mechanism how one invasion/migration procession from the ‘middle’ split on the crossroad on its left and right stream. But what was the name of this people from the ‘middle’? ‘Steppe’? Thanks for not mentioning this. And, what’s happened? They came in first instance to BMAC? They established themselves as (feudal) elite. How, when and how long they stayed there? They still have not the name, neither the name of territory (state) where they were the elite? Scythians? But those guys were nomads. Their name (in Serbian) means trumps, vagabonds. And we don’t know what was their language. Apparently, this no-name feudal elite was not happy in ‘BMAC’ and moved further to Punjab. Have they made own territory there and what was its name? Is their territory extended to Sri Lanka. Someone mentioned as Ratnadwip (Ratna island). The other name was Serpska dwipa>Serendib>> Ceylon (arabic). There are two ‘ratna (=war’s) islands’ close to Belgrade’s downtown. Aryans (they were called Vedas) remained in Serendib until 534 BC until huge Hindu migration after which they melted in the local population. Sabha (Roman senates, etc) – is the Serbian ‘sabor’ (=convocation) – the way how these tribes were making important decisions since the beginning of time where all adult member of tribes attended. It was like people’s Parliament (in Croatia they preserved the name Sabor for their parliament). Language example for the next podcast – how Serbian word MED (honey) which is a root for medical, medal, medication…found the place in many SA language (and in a few dozen other in Europe). Similarities in the names of family relationships (husband’s brother’s wife, wife’s sister’s husband, husband’s mother, etc) btw Serbian and Sanskrit (Hindi) which are older than Vedas – where and when they came from? ‘The Indo-Aryan Languages’ book (apparently used as a reference book) has a list of many comparative languages. There is also a ‘Slavonic’ languages section written by Bernard Comrie and Greville Corbett. They are not really Serbs but what does it mean ‘Slavonic’? It was occasionally used ‘Slavic’ (from the 7th c.AC). But, before that, especially in ancient time, these terms did not exist. Closely related with Sanskrit are respective toponyms which feudal elite probably left in BMAC and created some new in India/Pakistan/Afghanistan, Iran, Tibet, China…Thousands can be found on old British colonial maps. These toponyms can help to uncover the origins of Sanskrit. Why none is looking at these toponyms? Okay, some feedback on the Podcast (s). Firstly, I like it. The range of topics is wide enough and conversations informative enough as well. Secondly, you guys need to invest in better Audio recording systems. Early podcasts had an issue where Omar could barely be heard and this one has an issue with massive and unacceptable lag which leads to long moments of silence. This leads to listeners fatigue and also increases the podcast needlessly. It is irritating. Though Omar voice issue has improved in recent podcasts the volume intensity of different speakers is still not consistent, some are louder and some less so. This needs to be dealt with. Thirdly, regarding this particular Ep9. content was good listen so no qualms there but man the long “Aaaa” pauses in speech are just too irritating after a while. Razib is a more fluid speaker. Fourth. Zack also needs to go on less redundant windings. He says the same thing multiple times worded differently. It is unnecessary, esp on a platform of Podcasts. Stick to the point and be concise, respect the listening audience to have a certain level of contextual grasp. I hardly doubt you guys are making this podcast to be some sort of educational material for 10-14 year olds. Listeners already have a certain level of grasp, stick to a standard and move on rather than spending minutes on redundant things. You guys seem new to this Podcast game and hence seem to be having above issues. Podcasts is a platform which is very mature now hence the sort of feedback I listed above, these are basic stuff on this medium but I think you can improve overtime, it is just about rounding off the edges because the core(content) is solid so majority of the battle is done anyway. Best of luck. Looking forward for more from you guys. and your opinion matters, why? If you care so much invest in Razib’s patron account otherwise your feedback is unnecessary and not required. It’s not me being defensive but I dislike this “comment is free”; we are simply doing it as it is. It’s not a day job and while I usually do take on criticism, it needs to be couched in a constructive and cohesive manner. If you had started the comment; I donated $10 monthly to the patron and these are my thoughts; my ears would prick up otherwise, with respect, it’s just garbage. Qualify your words before you state them. fwiw I was happy to step out of the podcast since I thought Razib and Slapstik would have had a more fruitful conversation but I just thought getting the logistics right was important hence why I was there. > It’s not me being defensive .. Your reply is exactly that really. It is a needlessly antagonistic reply. My comment was appreciative of your Podcast and mentioned so FOUR times, explicitly. This is literally part of what constructive and cohesive means on this front since i anyway also wrote how you’ll eventually get things right. I didn’t even call it criticism, I termed it feedback because that is what it was since it was specific and laid the reasons for it when i mentioned that Podcast medium is a very mature platform, it is common courtesy to do the basic minimum, i.e. Audio quality being of a certain level. And to just go ballistic like you have here on a appreciative listener for suggesting that, it doesn’t bode well. It is showing you guys are not ready to handle user interaction regarding this podcast medium at least. And Last i checked it wasn’t mandatory to pay, right? And yet you made it seem like to offer feedback one has to have a certain rank of sorts or else don’t bother? And this isn’t about “content/comment is free” issue. Patreon already has a system whereby content is accessible to only those who are paid members, you don’t have a system like that yet and my comment was regarding content which was anyway not on that format (hence available to all) even if you did have that category. Unnecessary to bring that up as a comeback of sorts when my comment had nothing to do with that attitude. I was already appreciative of what you are doing. This isn’t the only instance you have been so needlessly aggressive in handling user feedback. I’ve seen more of it in recent times. But then again, to quote you, my opinion doesn’t matter. Which is objectively true. Just as it is the case for you as well. Also true. Hence redundant. Which was part of the original feedback. Hence corroboration. See this is why negativity is bad, because it spills over. You could have handled it differently as well you know(this is another feedback). So you claim the Podcast doesn’t have audio issues? Have you even listened to the first 4 episodes? You seriously deny that is the case and apparently pointing this is is met with needless aggressive/negative posture, along the lines of Pay up or Shut-Up. Way to go. You could have said, we are working on it and in the meantime, here is a link to Patreon to speed up that process. How hard is that? Anyway, apologies for ruining your day. I manage teams on a constant basis; unlike you Xir, I am not an anonymous profile. I am a stickler for etiquette and your comment breaches that. You are already telling us what we need to know “invest in voice tech” well that’s what s patron account is for. For what it’s worth I actually took on board what you wrote but I called you out on the manner of how you wrote it. If you had a full name with website and email; you would have thought twice in how you wrote it. It’s simply that because you are hiding behind anonymity you can be so disrespectful. Extend the same courtesy to us as you would do to those in real life. Wow, this AMT theory is so bad. You dont need to be a genius to see that. I dont know where to begin but will make just a few simple points. 1700BC, or the Late Bronze Age is far too late for Vedic Aryans to be moving into India. The family books of Rigveda talk of a lifestyle that is pre-BMAC. 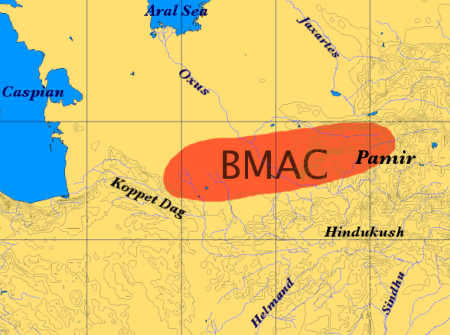 BMAC guys were highly centralised with formal political systems, unlike the clan-based pastoral system found in the Rigveda. Obviously you cannot derive Vedic from BMAC, it is just an absurdity. BMAC is more advanced in terms of trade……. Actually, there is too much, just watch this video pls. Well, Anthony’s book has been adequately chewed out by James Clackson a professor of linguistics at University of Cambridge and who has published a manual on IE linguistics. Early texts!!! So don’t dismiss the Rig Veda and the Avesta folks! As early as in 1984 archaeologist James Schaffer wrote that there is no archaeological evidence for AIT. The RUKI rule can operate with a South Asian homeland also. Please check the famous debate between Hock and Talageri. Hock ultimately conceded that his dialectical arrangement of isoglosses (including RUKI) does not preclude OIT (sorry don’t have the exact citation). Found it. Hans Heinrich Hock’s acknowledgement that OIT is possible linguistically. The article makes a number of good points about the weaknesses of the AIT/AMT. But it’s also quite dated (2002), and many of its categorical assertions (e.g., regarding demographic changes and migrations) need to be overturned or reconsidered in light of recent genetic evidence. Also, I think articles like these ought to consider evidence from what we know of other language families to make more convincing arguments. One might be struck by the implausibility of people dispersing from what we think of as a low population density regions into higher population density regions and still make a demographic and cultural impact, but that’s clearly happened elsewhere. Take the Austronesian-speakers, or more recently, Spanish speakers in Latin America, and Turks in the Near East. By circumscribing their fields so narrowly, the authors of these articles end up making lawyers’ cases, not scientists’.